Three weeks out, most polls show the PA-12 race to replace deceased Democratic Rep. John Murtha a dead heat, with GOP businessman Tim Burns and former Murtha district director Mark Critz hovering around 40 percent of the vote. But polls don’t always paint the whole picture, and for special election watchers who think this is the same kind of animal we saw in NY-20 and NY-23 last year, it’s time to think again. In this climate and corner of Pennsylvania, Democrats’ path to 50 percent is considerably more uphill than Republicans’, and the GOP is well-positioned to snap its disheartening string of special election losses. Here’s a CNN piece on the race……. Two hard-hitting new ads are heating up the Pennsylvania battle for the late Rep. Jack Murtha’s congressional seat. Republican Tim Burns is facing off against Democrat Mark Critz in a the May 18 special election. The race has stepped up in intensity in recent weeks, with both campaigns as well as national party committees going up with television ads. The Burns campaign came out Tuesday with a new television commercial that questions the ethics of Critz, a longtime aide to Murtha, a Democrat who represented the district for 18 terms until he passed away earlier this year. “Mark Critz. A Washington bureaucrat bankrolled by Pelosi. Critz was investigated by the congressional ethics office and Critz was in charge of the finances for a company caught on paying their taxes,” says the narrator in the ad. More……..….Check the comments…Daniel could be on to something..although the District was solid Democrat…..
Daniel……Pennsylvania – 12 Special Election: Cook moves the Seat from "Toss-Up" into "Leans Republican"
Rep. Bart Stupak’s decision not to seek a tenth term in his northern Michigan district moves yet another previously safe Democratic seat into the Toss Up column and brings the number of highly vulnerable Democratic open seats to a dozen (still only about half the number of vulnerable open seats Democrats had to defend in 1994). During the health care fight, Stupak may have attracted more national notoriety than any representative in the Upper Peninsula ever has, but most of his critics were well outside his district and Stupak was very unlikely to lose the primary or general elections. Without Stupak on the ballot, however, expect a free-for-all. This geographically huge district is as politically mixed as they come. In fact, no district voted more narrowly for President Obama in 2008. Here, deep roots in the community matter more than party affiliation. When Stupak (who is from Menominee on the Upper Peninsula) first won this seat in 1992, 54 percent of 1st CD residents lived on the Upper Peninsula. Due to population loss and redistricting, 53 percent of residents now live south of the Mackinac Bridge. Prior to Stupak’s election, Republicans had held this seat since 1966. To keep this seat in the current political environment, Democrats will need to field a culturally conservative candidate with impeccable northern Michigan credentials. Look for plenty more Republicans besides the only current announced candidate, surgeon Dan Benishek, to take a look at the race. This seat moves from the Solid Democratic column to the Toss Up column. Daniel……Charlie Cook makes some notable Governor & House Rating changes……. With these Changes Democrats NOW at least have to defend 54 Seats who are either in the Lean or Toss-Up Column. Obviously the biggest price today for Republicans was the Michigan Governor Race. Republicans are now projected to win at least 4 Democratic Held State Houses (Wyoming, Kansas, Tennessee and Michigan). I’m still doubtful the dem’s lose the House…Call me crazy…..That’s my call…..
Daniel ……Hawaii 1st Special Election: Charlie Cook moves Race from “Leans Democrat” into “Toss-Up”…..
First of all many, many thanks to your Hawaii Article last week. It was superb. “The Dog” and I talked over this Race countlessly last week and WE BOTH came to the conclusion because of the two Democrats running splitting the Party Vote this Race should be a “Toss-Up”. Well, we were right. It’s now a Toss-Up as Charlie Cook, 1 of the 4 leading Political Handicappers moved it from “Leans Democrat” into “Toss-Up” today. Even Cilizza had a lengthy Article in his House Line last Friday saying Democrats should be worried. I’m sure the Dog is worried now too. There will be at least one more Poll out from Mason-Dixon as they polled this Race in January. Thanks for the compliment…the real question there will be…… does the dem’s get someone to drop out? Daniel ……Hawaii 1st Special Election: Charlie Cook moves Race from "Leans Democrat" into "Toss-Up"….. Follow-up on the MyDD and Charlie Cook discussion on the House in 2010…..
From Jonathan Singer over @ Mydd.Com as a follow up to this post.…. Just a few weeks ago, Charlie Cook said that it’s “very hard to come up with a scenario where Democrats don’t lose the House.” The quote may seem familiar; I have referenced it a couple times in recent days. Looking ahead to November’s elections, 50 percent said they’d vote for Democratic candidates if the election were today, while 40 percent said they’d vote for Republicans. The Democrats’ 10-point generic ballot lead in the Ipsos-McClatchy poll represents a net improvement of 3 percentage points since early November, a move within the survey’s margin of error. It is worth noting that these numbers do not look the latest trend estimate from Pollster.com, which actually gives the GOP a narrow 43.0 percent to 42.4 percent lead in a nationwide race for Congress. However, that narrow Republican advantage is the result of the plethora of data from a single pollster: Rasmussen Reports. When these surveys are excluded, the numbers shift more than 6 points towards the Democrats, with a Democratic edge of 47.1 percent to 41.5 percent. So there definitely is a universe in which it is “very hard to come up with a scenario where Democrats don’t lose the House”: that of Rasmussen polling. And that may be the reality on the ground come November. But in the reality represented by the composite of all other polling, including this latest Ipsos survey, the Democrats’ goose is not nearly cooked. 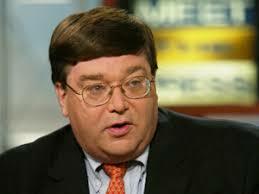 Charlie Cook hedges his bets on Massachsetts senate race……with slight Brown lead…. Massachusetts Special Election Update This past Thursday, January 14, The Cook Political Report moved the open Massachusetts Senate seat rating from Lean Democrat to Toss Up, having moved it from Solid Democrat to Lean Democratic on January 7. We continue to see this race as very much of a Toss Up, with Republican state Sen. Scott Brown holding onto a very narrow, single-digit lead over Democratic state Attorney General Martha Coakley. Given the vagaries of voter turnout, particularly in lower participation level special elections, this race could still go either way, but we put a finger on the scale for Brown. Last minute Democratic attacks on Brown have driven his negatives up some and slightly diminished the incredible intensity of support that Brown enjoyed, but it looks more likely than not to hold. Here’s the current outlook for the United States Senate 2010 races from the Cook Political Repirt….